Dare You Watch The First Full Trailer For Stephen King’s IT? Get set for the horror event of the year, as Pennywise The Clown makes his return. 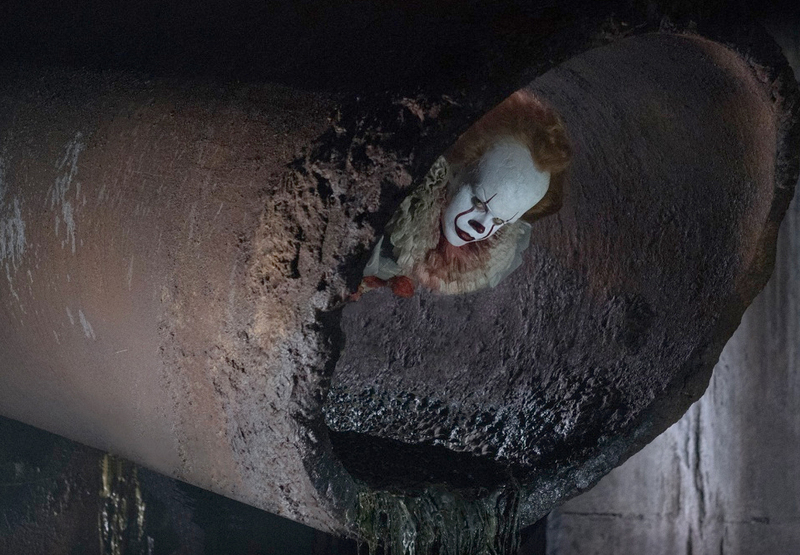 The first full trailer for the remake of Stephen King's IT has been unveiled and it’s already shaping up to be the scariest film of recent times. Following a couple of creepy trailers, you can see a lengthier preview of the Andrés Muschietti-directed film, which is based on the hugely popular Stephen King novel of the same name, which has been terrifying readers for decades. Arriving on 8 September, IT is the story of children who start disappearing in the town of Derry, Maine. A group of young kids are faced with their biggest fears when they square off against an evil clown named Pennywise, whose history of murder and violence dates back for centuries. In this version of the film, Pennywise played by 26-year-old actor Bill Skarsgard, who was born in the same year the original 1990 TV mini-series aired. An ensemble of young actors also star in the film, including Jaeden Lieberher (Midnight Special), Jeremy Ray Taylor (Alvin And The Chipmunks: The Road Chip), Sophia Lillis (37), Finn Wolfhard (TV’s Stranger Things), Wyatt Oleff (Guardians of the Galaxy), Chosen Jacobs (Cops And Robbers), Jack Dylan Grazer (Tales of Halloween) and Nicholas Hamilton (Captain Fantastic).